Ships tomorrow if ordered in the next 5 hours and 36 minutes! With timeless weight and design, as well as a wide range of convenient features, The Classic Iron from Black & Decker brings simplicity and style back to ironing. This F67E model features a fabric select dial, a three-way auto shutoff for added security, anti-drip system to prevent spotting, and a pivoting cord for superior maneuverability. This non-stick soleplate allows for worry-free ironing. When ironing with the Black & Decker Classic Iron you won't get caught on less-smooth fabrics. When the iron is knocked over or not in-use for an extended amount of time it will automatically turn off. The added safety of this feature leaves your mind at ease. With variable steam selections you can choose the right amount to use every time. Never too much steam, never too little. 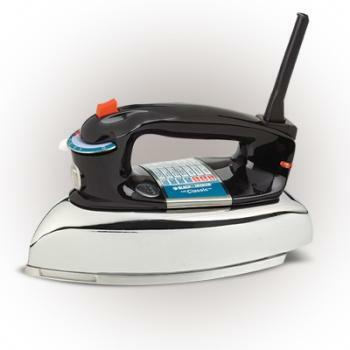 Review "Black & Decker F67E Classic Iron with Aluminum Soleplate, Steam-surge button"